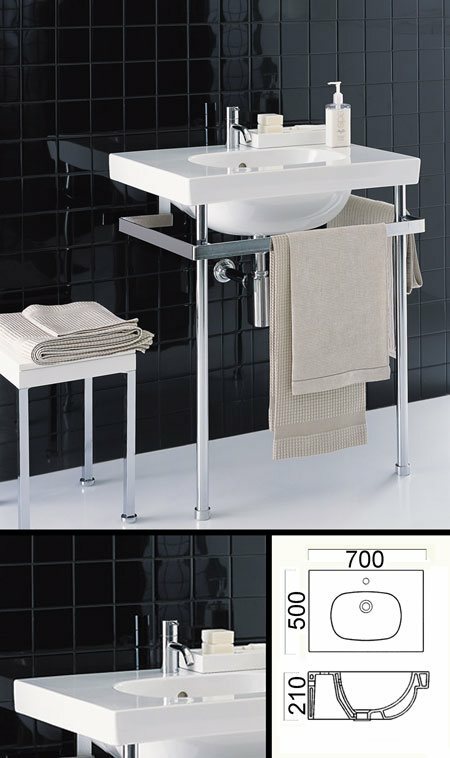 Chic bathroom washstand by Antonio Citterio with quality polished steel stand. This designer washstand is only 500mm deep and is ideal for the small bathroom design, but is also very stylish in larger bathrooms. Taps and chrome bottle trap available as optional extras. * Call 01722 415000 for more info.